The IRS does not take kindly to individuals and corporations committing fraud against them. Failing to file taxes, filing false tax returns and hiding money from the IRS are the top reasons for investigations. If you are being accused of tax fraud, it is important to talk to an experienced attorney right away to find out what your options are. This article is a good place to get started and to find answers to your questions. Often, the IRS receives evidence of tax fraud from disgruntled employees, ex-spouses, family members, and even the taxpayer him or herself. If the IRS determines that you may have engaged in fraudulent tax practices, it may initiate an investigation. Those found guilty of tax fraud are subject to steep monetary penalties and prison sentences. If the IRS learns of potential tax fraud from the individual taxpayer, they will often send a field agent for a visit. Most IRS criminal investigations are conducted by Special Agents with the Criminal Investigation Division (CID) of the IRS through the use of Administrative Summons. Investigations may also be conducted by a criminal grand jury for criminal violations. Tax fraud investigations involve multiple requests for documentation and personal interviews, and are generally unpleasant. The IRS has one goal in mind – to prove that the taxpayer intentionally acted to evade tax obligations or defraud the government and knew the consequences of his or her actions. If you find out that the IRS may be after you for tax fraud, it’s important to take the matter seriously. Here are five tips on how to deal with an IRS fraud investigation. Don’t talk to investigators without an attorney. Don’t Destroy or alter records. Hire a competent tax defense attorney. Ignoring the issue will not make it go away. Even if you feel that either you or the IRS made an honest mistake, you must deal with the situation. It’s better to find out that you’ve made a mistake and pay the past taxes and interest due, than to ignore the IRS and be charged with criminal fraud. You may think that you are being helpful or that the IRS will be nicer to you if you cooperate up front, but this may not be the case. If you are approached by a federal investigator, politely tell them that you want to speak with an attorney, take their card and listen to what they have to say. Do not answer any questions about the allegations. If you find out you are going to be audited or you receive a records subpoena, now is the time to start gathering records and receipts. If you find something that you think may be harmful to your case, do not destroy or alter it any way. This applies to paper and electronic documents. The federal investigators are trained to investigate and retrieve lost and deleted data. If they determine that you have altered or destroyed records, you may face federal obstruction of justice charges as well. Lying or giving evasive answers to IRS investigators, delaying tactics, and other actions designed to mislead IRS agents are all indicia of tax fraud. Don’t do it. If you are asked questions, tell the investigators that you want to speak with your attorney or have them present during any interviews. 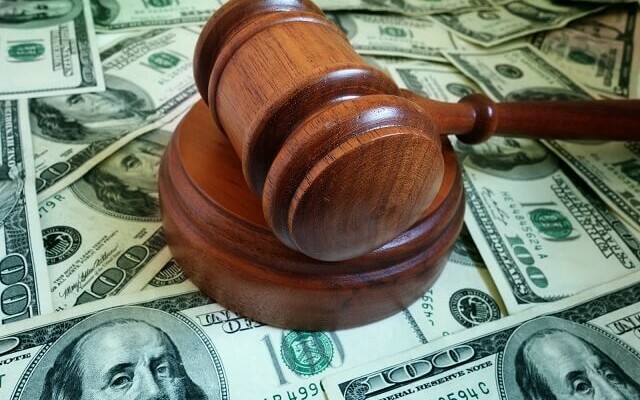 If you have been accused of a tax violation, tax fraud, conspiracy to commit tax fraud, or aiding and abetting a tax fraud scheme, you need experienced legal representation. Our firm has two former federal prosecutors in addition to experienced defense counsel. Calling the attorneys at Oberheiden, P.C. can change your life. Contact Lynette or Nick at (800) 701-7249 or request a free case evaluation online with one of our experienced defense lawyers today.